Open or select an item. Mark or unmark a checkbox or option. Enter text using the on-screen keyboard. Activate selection mode, for example, to select several items from a list. Scroll up or down a list. 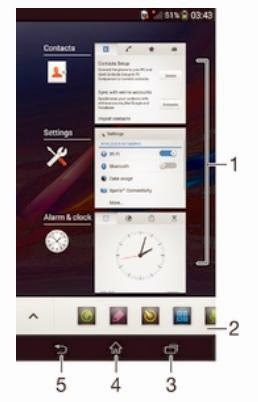 Scroll left or right, for example, between Home screen panes. Scroll quickly, for example, in a list or on a web page. You can stop the scrolling movement by tapping the screen.